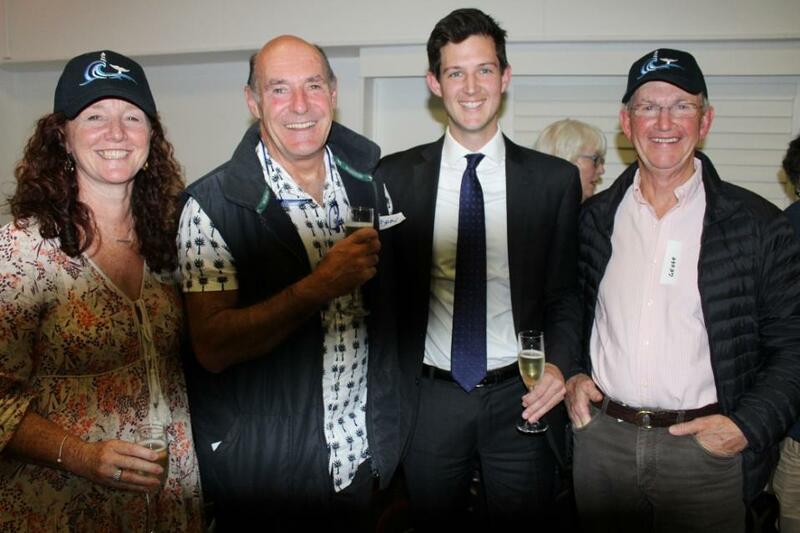 Members of the Palm Beach & Whale Beach Association attended their 100th AGM on Tuesday May 8th. A great report was presented by Richard West AM, President of the association, with some key indicators of the associations current focus and how that reflects, still, its commencement principles. The great news among the numerous items is that the association has decided to donate a Zapstand defib for Pittwater Park to commemorate its 100th year, near the ferry wharf. PBWBA Vice-President Virginia Christensen nominated that this be named for Richard to honour his work for the association over several years and due to a recent health scare perhaps, in some ways, being one of the inspirations for yet another contribution to the community by the PBWBA. 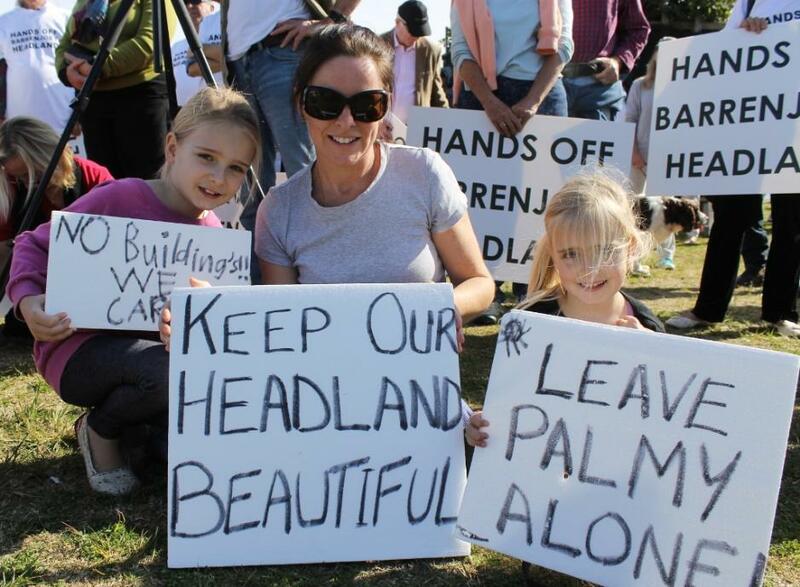 Palm Beach opinion is sharply divided as to the results of the reported lease of Barrenjoey Headland to an American syndicate. It is said that the Federal Government has already granted the lease, and that the syndicate will spend £200,000 on cabins for holiday-makers. "That expenditure should be very welcome to Palm Beach, provided, of course, that it is spent in a way approved by the authorities," declared the chairman of Palm Beach Lands, Ltd. (Mr. R. J. McKay), today. "Transport and sporting facilities would probably be improved. I don't think it would depreciate land values. This, however, is the opinion only of myself and the firm I represent." The people who had served as voluntary member on the association through the decades were stated to be integral to the the associations role as being integral to the area being preserved and enhanced by Mr. Stokes, MP. He cited people such as Gerald Hercules Robinson who secured for all people for all time the wonderful Palm Beach Bible Garden. Back Row: Peter Kellaway, Kerry Robinson. David Robinson. Photo by Michael Mannington, 2012. He spoke of Herminie Swainston, whose recent loss has been a blow to many a resident of Palm Beach and endorsed the President's and associations nomination that the platform at Observation Point be named in her honour. 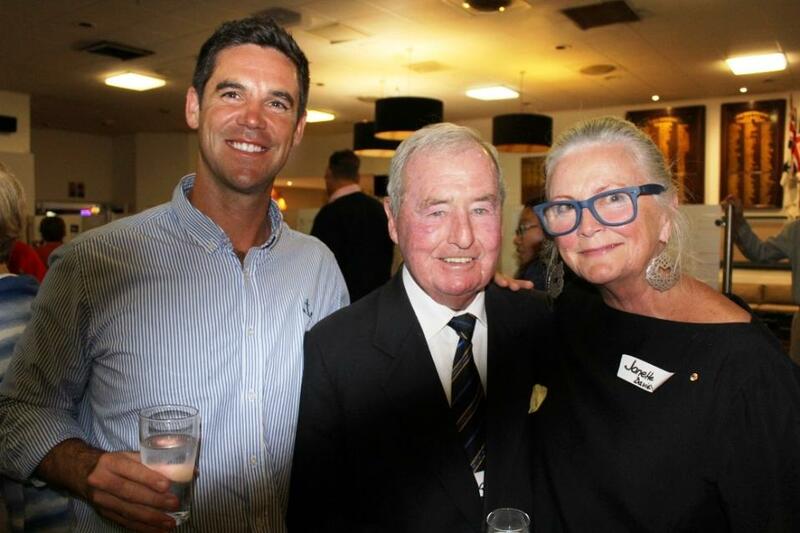 Councillor Michael Regan, Mayor of the Northern Beaches Council also spoke at the 100th AGM, expressing a wish to know more about how the Palm Beach Progress association, subsequently to become the current voluntary organisation, commenced. He paid tribute to the work the association has done in enhancing and looking after the area, stating advocates within the community are important and he looked forward to council continuing to work with the PBWBA to achieve positive outcomes for this end of the peninsula. "Here's to another 100 years." Mr. Regan stated in closing. As always at any PBWBA AGM questions were taken from the floor and the amalgamation was one subject addressed, one questioner asking how the mayor expected the council to proceed now that elected representatives were back in place and would matters, in fact, be made better in the future through the amalgamation. The responses had a touch of Stockholm Sydnrome* about them, to an audience that had, in the main part, resisted the forced amalgamations in quite outspoken terms but listened politely, and without outburst, at Tuesday's AGM. Cr. Regan stated that the transition would be a 3 to 5 year process, would require time to get it right, and was being approached with this in mind, exampling the LEP (Local Environment Plans) where one is slated to be expected to be provided to the state government to cover the whole of the former three councils and acknowledging that each area has specific qualities and expectations about what it wishes to preserve or develop and this must be taken into account. As a result, the determining of a draft and final model was being pushed back until 2021. The Hon. Rob Stokes also spoke to this question stating that if people don't want it to work, it won't work and that that could raise concerns regarding future planning for the area, such as the developments proposed for Ingleside and Frenchs Forest and how to do these so they meet population growth and meet the expectations of the local community to protect the local environment. "To help a suburb you must give it assistance at the beginning of its development." That is the belief of property-owners at Palm Beach. Together with the Progress Association, they are determined to see that Palm Beach is properly safeguarded. And they intend to ask the Warringah Shire Council to use law and precept to that end. Attracted by Palm Beach's beauty, its freshness and ideal terminus as a motor run, campers and picnickers have descended upon it, helping to swell the week-end population of residents and property-owners. Owning nothing there, with only the days' Interest in the district, they have, been found prone to careless destruction and mutilation of shrubs and trees, and a. habit of besprinkling the landscape with bottles and tins. Amongst property-owners Palm Beach has always appealed to a somewhat fastidious class, who chose it for its seclusion at the end of the peninsula, and these residents have now given a lead to those in other suburbs in the stand they have taken up. In short, their avowed object is not only to ensure the permanency of the district's existing beauty, but to improve it and safeguard it so that it will be a model of well-defined distinctions, with plenty of liberty; but a fair sprinkling of "You must nots" for the transient guests. Property- owners who rise to a sense of' their responsibilities and see the dangers which threaten their district through careless license, are to be commended, for this means permanent benefits which will be shared by future owners and a safeguard to property values and development. A deputation, formed of members of the golf club, Progress Association, and landowners, is to wait upon the Warringah Shire Council and put these facts before them. The deputation will consist of members of a committee which has been formed. The committee is:— Messrs. C. R. Crossman, (president), R. T. McKay (vice-president), S. R. Hooper (secretary and treasurer), G. W. Hitchcock, S. H. Hammond, S. E. Armstrong, A. C. Webb, H. L. Tress, and A. A. Oxlade. Mr. West's final thanks for the evening were directed to the committee Team, Vice Presidents and Janette Lamb AM, Secretary, who has resigned her position due to shortly moving to Orange. A Pittwater Online News History page on the PBWBA will run later this year. 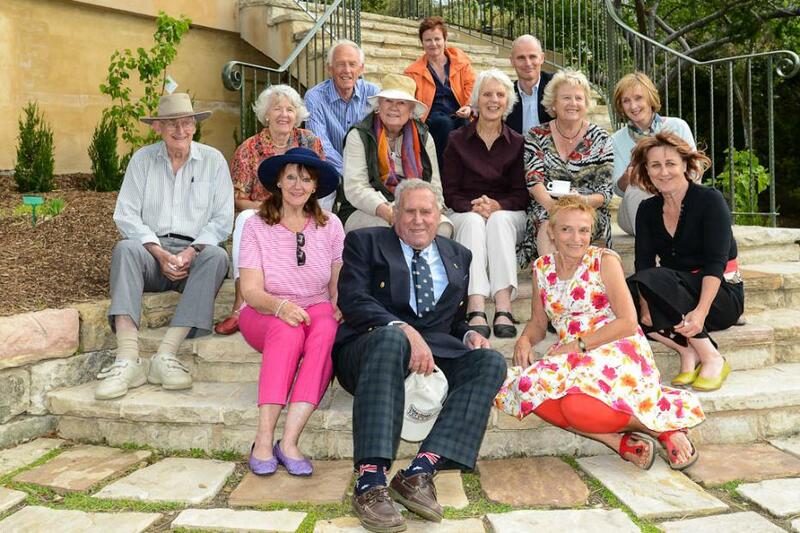 It is a great pleasure to present the centenary report of the Palm Beach and Whale Beach Association (PBWB). 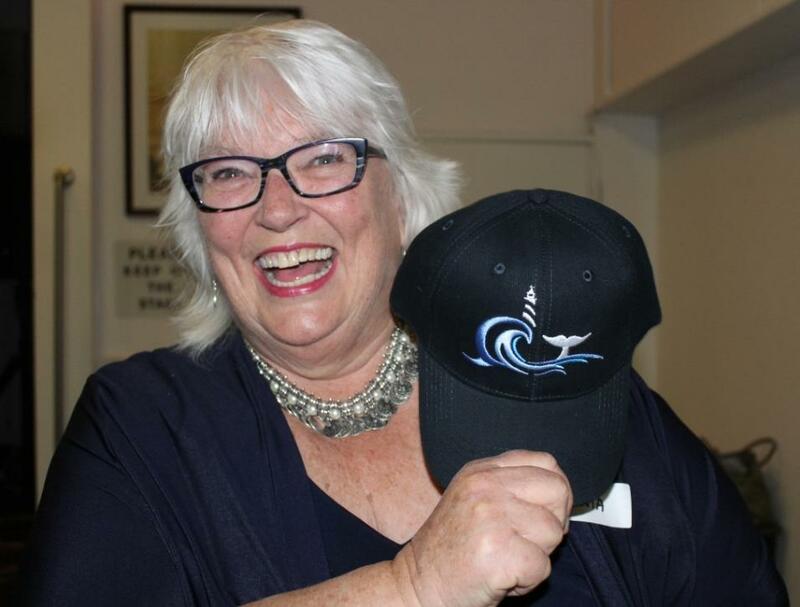 The Palm Beach & Whale Beach Association is a not-for-profit, non-political organisation of volunteer owners and residents who are passionate about keeping our area unique, and keeping the local council and state government honest. Our main function is to preserve and enhance the natural beauty of the area and protect its residential amenity. We do this through communication with the Council regarding development and building applications, making submissions on relevant issues and being represented on various local government and other committees. The Palm Beach & Whale Beach Association Inc. is one of the Peninsula’s oldest community organisation, originally being called The Palm Beach Progress Association, established in 1918. In 1944, it became the Palm Beach Association, and in 1998 it amalgamated with the Whale Beach Preservation Society, becoming The Palm Beach and Whale Beach Association Inc. in 2005. There is evidence of the early history of association in the minutes of the Warringah Shire Council Meeting 2 Feb 1918. A Letter from the Palm Beach Progress Association dated 31 January 1918 on the necessary improvements at Palm Beach. There have been many achievements over the years but I am sure you will all agree that the major achievement has been to preserve our environment and enhance the natural beauty of the area and protect its residential amenity as stated in our charter. If you look around you we have unspoilt beaches, almost entirely single dwelling houses, no high rise, magnificent waterways, Pittwater, Governor Phillip Park, Barrenjoey Light House. How lucky we are. This is in stark contrast to the suburbs to our south. We must continue to work the with NSW Government and the Northern Beaches Council to ensure that the unique character of this area is maintained for future generations. It can only be described as paradise We will continue fighting on the beaches to keep it this way. The last 12 months have been extremely busy for the PBWBA. The PBWBA worked well with the appointed administrator Richard Persson. I must thank Rob Stokes for facilitating and attending a meeting at Palm Beach with the administrator soon after he was appointed in 2016. I am very pleased to welcome Rob Stokes to this AGM. We started the meeting at Pittwater Park, then went to the Beach looking at the route for the walkway on the way to the beach. Following this meeting the Demand Parking Study for Pittwater Park was commissioned, the tender was let for the walkway, the plans for landscaping of Palm Beach were commenced, and Pittwater Park and Barrenjoey Rd were upgraded. The elections for the NBC were held in September 2017. It is a challenge to deal with the new larger council with 15 councillors from five wards. Pittwater ward has three councillors. The Narrabeen Ward has three councillors in part of the old Pittwater Council area. I am pleased to see Mayor Regan and Councillors here tonight. It is essential that the Local Environment Plans for Pittwater be retained. It is great to see that work is progressing on this long overdue project. I have walked the walkway. It is a very complex structure. I congratulate all those who have been involved in this important project. Herminie Swainston recently suddenly passed away. She was passionate about the walkway and Palm Beach. She lived in the family home high on observation point. The PBWBA has proposed to council that the landing at observation point be called Herminie’s Landing in her memory. Barrenjoey Headland is the Jewel in the Crown of Pittwater and must stay that way. It is a great asset. Parks and Wild life have requested a meeting with the PBWBA later in the month regarding the final plans for connection of water and sewerage to the light house area. With the increasing number of visitors the need for water and sewerage is urgent. We are awaiting the final plans for this project from the NBC. I must thank Rob Stokes for the New South Wales Government’s contribution of $400,000 towards this project. The community consultation to date has been good, however following consultation a boardwalk was added to the southern end at kiddies corner. The result will be a loss of car parking spaces. The area is used by families with young children. Stephen Guilford presented a petition against the board walk to the February 2018 council meeting. Local residents predict that the walkway will be washed away in high seas. The association has requested the council to re look at the plans for kiddies corner. Disc Drains are due to be installed on the western side of Ocean Rd outside the surf club and the houses. One of the Norfolk Pine trees on the Palm Beach front has died. The was due to a gas leak. The NBC has assured us that the leak has been sealed. The tree has been removed and replaced by a new Norfolk Island Pine. Ken Allan is representing the residents of Whale Beach Rd. They met in January and have released the following statement. PBWBA strongly supports the residents views. Ken Alan, John Warburton and I have met with Ben Taylor and Craig Sawyer of NBC regarding the plans. They have committed to further consultation before the plans are finalised. The Whale Beach Pool has been thoroughly cleaned and a new pool pump installed. The NBC has committed to upgrading several roads in Whale Beach this financial year. John Warburton our Vice President will be strenuously following this up. Whale Beach Rd residents recently received a letter from NBC in relation to the current traffic problems in Whale Beach Rd. The 717 school bus often is unable to negotiate the narrow road due to parked vehicles on both sides of the road. The children are often late for school. The letter advised that Council proposed to install “No Parking 7:00am-5:00pm Everyday” restrictions along sections of the road between Norma and Rayner Rds – restricting parking in the south bound direction only. Following Council’s receipt of a number residents comments it has acknowledged the proposed restrictions should apply to northbound traffic rather than southbound. An amended proposal was put to NBC Traffic Committee on 1 May. The NBC has committed to rebuild this historic bus shelter. Our honorary architect Bruce James has been working with the council regarding the plans. This has been going on for many years. There are major delays driving into Avalon during the morning peak period mainly due to school traffic. The school buses are oftern late. The NBC is proposing to install no stopping signs on Barrenjoey Rd leading up to the traffic lights at Central Rd. NBC has installed No Parking Signs Motor Vehicles Exempted in the area. The area also needs a good clean up. It it almost impossible to walk along Barrenjoey Rd from Careel Head Rd to Iluka Rd. The PBWBA believes priority should be given for a walkway along this section of Barrenjoey Rd. There is a lack of foot paths through out Palm Beach and Whale Beach. This is made worse by encroachments on the nature strips. I believe is a is beyond the capacity of the NBC and should be a joint project with New South Wales Government. Provision of footpaths is a very basic requirement The major cause of road deaths in New South Wales is pedestrians being run over by vehicles. ii. Public Art in key locations (e.g. coastal walkway) with commissions from local artists where possible – $500,000 per year for four years commencing in 2017/18. There are still major issues with a few party houses with noise and unruly behaviour. The houses are being advertised as party houses and used as function centres. There must be more stringent regulations introduced by the NSW Government. A government report is due to be released soon. PBWBA made a submission to the government inquiry. The council should be given more powers to address the issue. It is must important that any changers do not stop owners letting their houses for short term rentals particularly during the holiday periods. The great majority of lettings pose no problems. Following the allocation on $400,000 NBC is developing a four year plan to upgrade and provide additional unleashed dog exercise areas. There has recently been an increase in the activity of hoons at night, on Ocean Rd, and Governor Phillip Park and during the day with hoons on bikes on Barrenjoey Rd. These areas are 40km zones. The advice from Police is to ring 000 to report problems ay they occur. There needs too be more police presence in the area. TRANSPORT, CONGESTION AND PARKING are the major issues confronting the residents in Palm Beach and Whale Beach. NBC is developing a Traffic and Transport policy for the Northern Beaches covering such area as parking permits, parking compliance technology, bike riding, walking, buses, ferries, rapid transport, light rail, east west transport corridors, car share, community buses etc etc. Consult the NBC website “have your say” and see the detailed documents and make comments. The B Line Bus from Mona Vale to the city has been a success for commuters living south of Mona Vale however those living north of Mona Vale are severely disadvantaged. The L90 Bus from Palm Beach is only operating an off peak service. This is unacceptable. This has made the longest commuter bus in Sydney even longer. There are major delays for passengers on the return trip from the city having to change buses at Mona Vale. This is unsafe at night. There needs to be a express bus from Palm Beach to the city operating at all times. We have continually asked for a trial of an extension to the E88 peak service from Careel Bay to Palm Beach- where the E88 would commence/terminate in Palm Beach so that commuters would not have to change buses at Mona Vale hub.. It would provide a quicker, continuous, convenient trip. This service would be an extension only – not a new service – so why not trial it? The PBWBA supports The Newport Residents Association’s opposition to the proposed construction of a roundabout at Neptune Street/ Barrenjoey Rd Newport. We have attended several meetings with the B-Line team, at the Mona Vale Community Centre together with the other northern peninsula residents groups and senior NBC staff. We have sent countless letters/emails to B-Line, Transport for NSW, Rob Stokes our local member and the NBC where we have expressed our deep concerns about the negative impact to traffic flow that we believe will be created by the construction of a roundabout at this location in Newport. Council resolved on 28th November 2017 that the Palm Beach Parking Demand Strategy be adopted as policy and be reviewed on or by 30th April 2018. The review has not been taken place. Over the busy summer season, Easter and school holidays PBWBA has received a great deal of community feedback regarding the ongoing parking and traffic issues in Palm Beach. PBWBA and the Community believes that parking availability in Pittwater Park and the Wharf precinct is still heavily weighted in favour of the Western Foreshores residents and Central Coast commuters. At present parking signs permit storage of their vehicles in Crown Land spaces that are intended to be used by recreational users of the Crown Land. It is vital that Council acts upon the advice of its own advisors given in both the Draft Pittwater Park PoM prepared in June 2000 and the current Bitzios Pittwater Park Parking Study Feb ’17. While some strategies have been put in place we request the implementation of all the remaining strategies as a matter of urgency, particularly the timed parking in Pittwater Park. The Fantasea Ferry from Palm Beach to Ettalong is regularly being cancelled due to high sand levels. Many residents of the Woy Woy Peninsula rely on this ferry service to travel to work & our community has seen a drop in tourism due to the cancelled ferry service. The business in Palm Beach are suffering. The Gosford Council & NSW Government keep passing the buck on who is responsible for dredging the Brisbane Waters channel. This problem must be addressed ASAP. The Christmas party was once again a great success with a record number of members attending. I would like to thank Andrew Goldsmith and all his staff for the continuing support of this function. You will agree they put on a great party. To commemorate the centenary the PBWBA has decided to donate a ZAPSTAND DEFIBRILLATOR to be installed at the ferry wharf in Pittwater Park. Thanks to my hard working committee. Each of you have exceptional and different skills, we work as a well oiled team. I would particularly like to thank our Vice Presidents John Warburton and Virginia Christensen took over the reins during my recent illness. Our secretary Janet Davie for all her hard work and organising this meeting. Our treasurer Doug Maher who keeps our fiances well under control. Two committee members are retiring tonight Elizabeth Ginsberg and Jeff Skebe. Elizabeth is moving to be nearer her family. Jeff because of his business commitments we may see him back in the future. I thank you both for your contribution. Ian Kennedy retired during the year we miss his wisdom and great intellect. Palm Beach Surf Club for allowing us to have our monthly meetings at the Pacific Club. Club Palm Beach for hosting us. All members are welcome to attend our Monthly Meetings at the Pacific Club on 2nd Monday of the month at 7pm. NEXT COFFEE MORNING MONDAY MAY 28TH AT “THE BOATHOUSE ” 10.30AM. I would like to acknowledge the tribute that our local member Rob Stokes made in his speech in NSW Parliament last week. The achievement is now in Hansard for all to see. The extract from Hansard can be read online here. I would like all past Presidents and past and present Committee Members to stand so we can acknowledge their contribution. The committee members have been the heart and sole of the PBWBA. I would like to propose a toast to the Palm Beach and Whale Beach Association. * Stockholm syndrome is a condition that causes hostages to develop a psychological alliance with their captors as a survival strategy during captivity. Victims of the formal definition of Stockholm syndrome develop "positive feelings toward their captors and sympathy for their causes and goals, and negative feelings toward the police or authorities". The Hon. 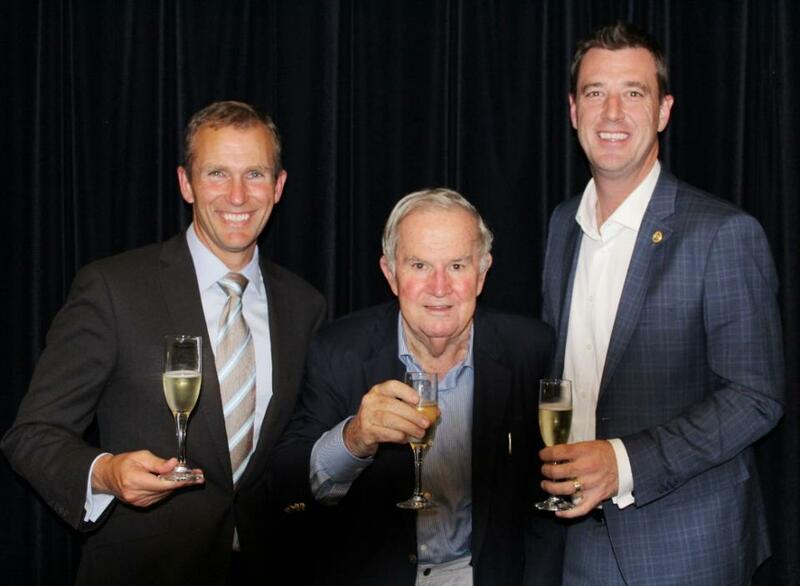 Rob Stokes, MP for Pittwater, Richard West AM, President of the PBWBA, Mayor Michael Regan. Cr. Kylie ferguson, Gordon Lang PBSLSC, Cr. Rory Amon, and Geoff! Andrew Goldsmith, PBWBA Committee member, Bob Grace, President protect Pittwater association, Janette Lamb AM PBWBA Secretary. Report - 100th AGM photos by A J Guesdon, 2018.